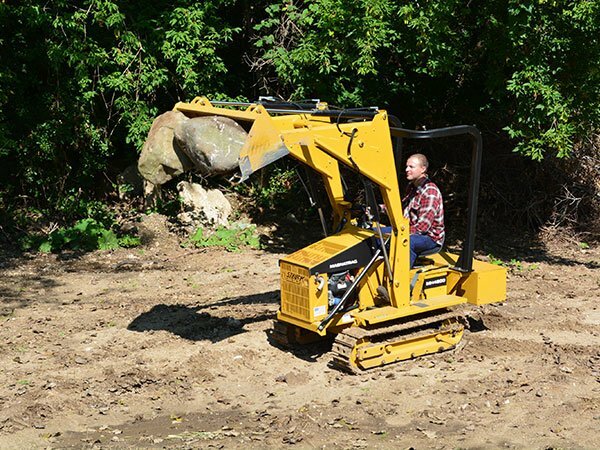 The MAGNATRAC MH8000 is a compact workhorse designed for light construction work, the rigors of agricultural labor, and even small sawmills! This little machine packs a big punch. With different add-ons and attachments, there is no limit to the configurations you can create, especially when you apply your own ingenuity to your needs! 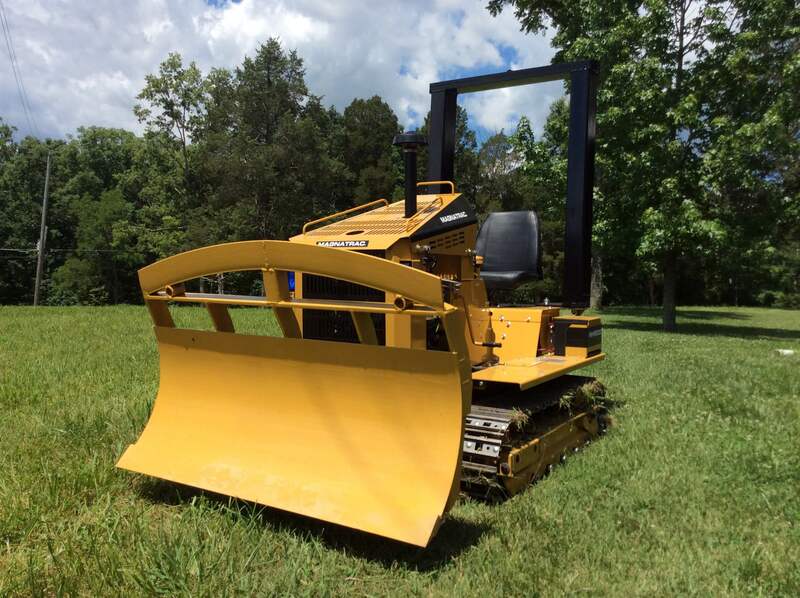 New MH8000 owner, Ellis realized he wanted some special modifications to his MH8000 Small Bulldozer to help him tackle his unique projects. Using lintel off of an arched window from one of his jobs, he fashioned a brush guard for the top of the dozer’s blade. Due to the straightforward construction of the MAGNATRAC tractor, he was able to remove the blade with ease. He fastened the guard at about 15 degrees off of perpendicular from the blade, providing a smooth curve that does not detract from the functionality of the attachment. Giving him an area to “hold a tool box until I get to where I’m working.” That way he doesn’t have to hold it by hand or tote it along separately as he dries out to the work site. What a great idea, combining the pleasing arch to protect the tractor and provide extra storage space at the same time! MH4900: The Homesteader is a versatile, entry level hydro machine. It’s affordable, customizable, and powerful, all of which make it perfect for the modern homesteader or farmer! 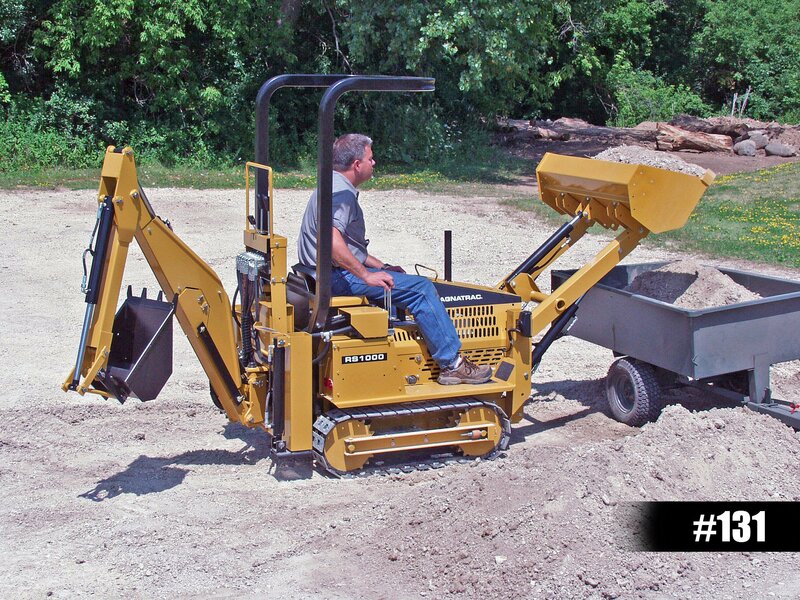 Whether you need to dig, load, or grade, this machine can get your projects done right. 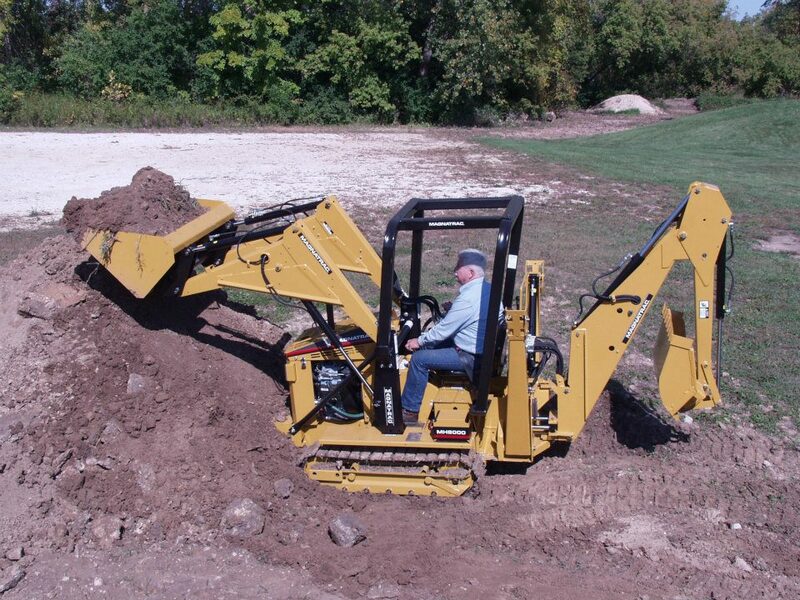 RS1000: The Homeowner is a rough and rugged little tractor. 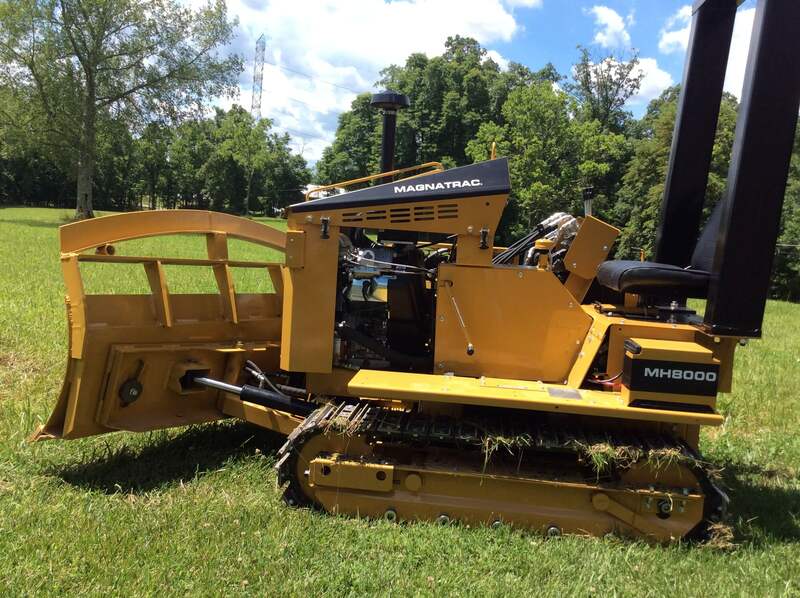 About the size of a riding mower, this machine has multiple configurations and many uses! 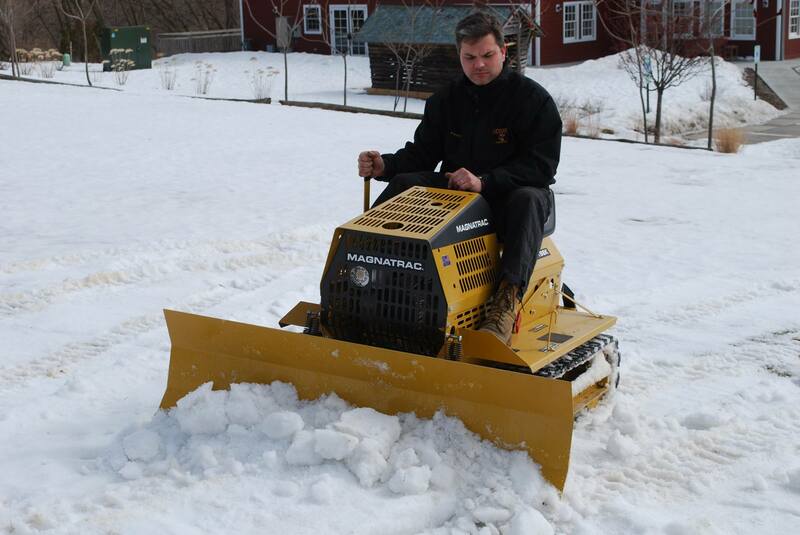 Blades and attachments can be manually changed with ease so you can move from digging your winter garden in October to plowing the snow in December! RS196K: The Hobbyist has the same body as the Homeowner, but appeals to the ultimate DIYer. 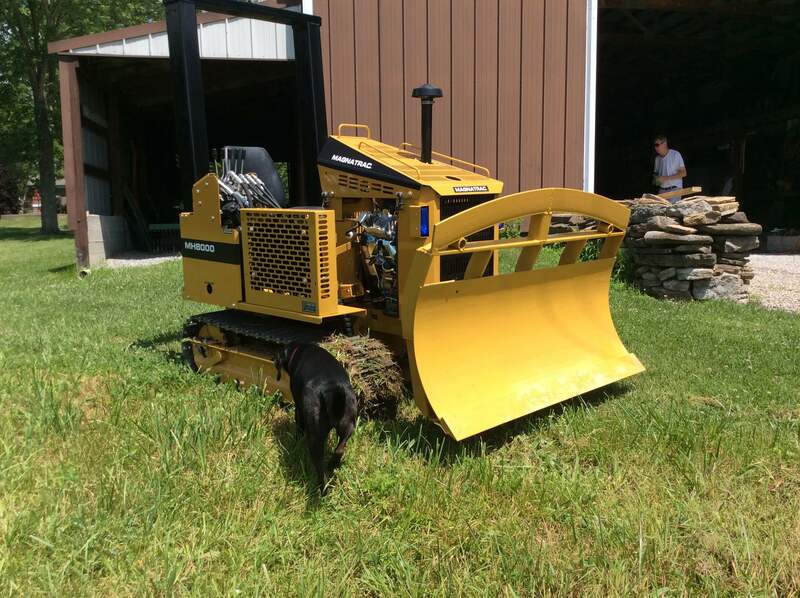 This little dozer has some assembly required. Don’t let that stop you, though because if you have a basic knowledge of tools, you’ll be able to build and fully customize your machine, from the paint job to the attachments! This small machine pull, plow, grade, and even tow wagons or tillers. No matter which MAGNATRAC tractor you choose, you’re guaranteed top of the line manufacturing in the USA and a hardworking machine that you can customize to fit your needs! Hi Edwin, sorry we only speak English. I would advise to have someone translate and email us. Feel free to send us an email to: info@struckcorp.com.